The epitome of romantic English charm, this beautiful tiara is enchanting. 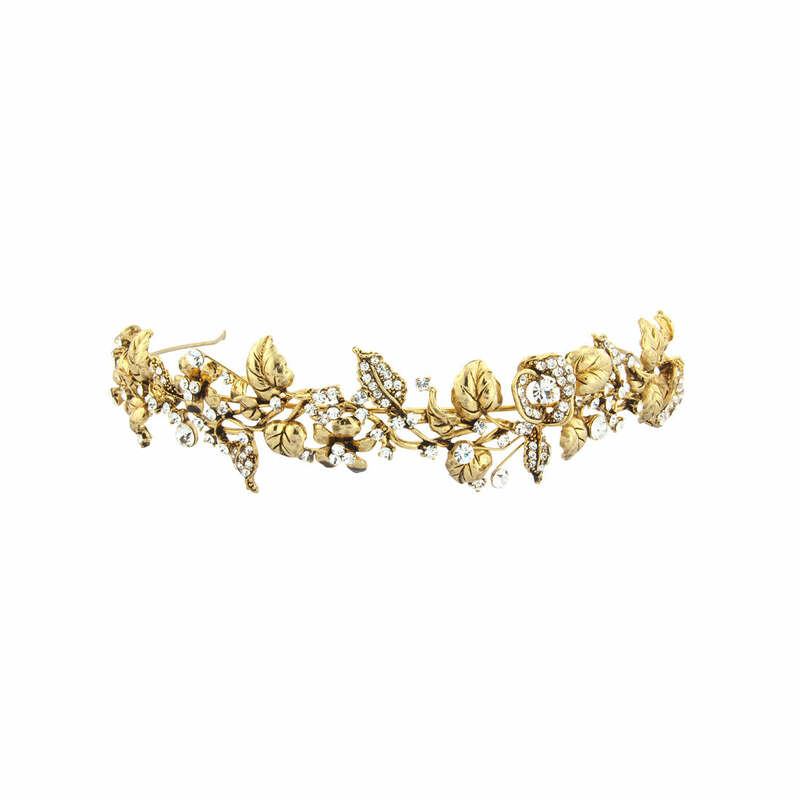 Magical and whimsical, Enchanting Dream Tiara, is the ideal choice for a bride with a penchant for statement gold wedding tiaras and of literature’s most romantic fairy tales. Adorned with gold, baroque-style detail, this is a truly sumptuous piece for the sensational bride, evoking scenes from Shakespeare’s A Midsummer Night’s Dream. 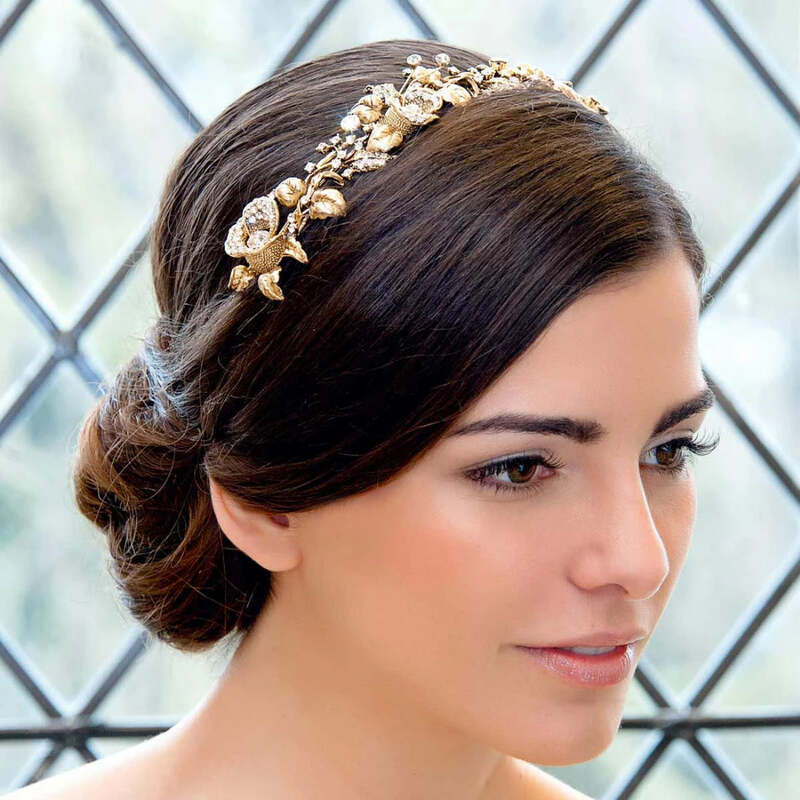 Its antique gold tone makes Enchanting Dream Tiara a dream choice for lovers of vintage bridal hair accessories. Flecked with stunning clear Austrian crystal, this piece combines influences from nature, with the opulence and extravagance of bygone eras. Whether complementing layers of flowing tulle or a sensational, silky and slinky gown, this is truly a unique tiara to treasure.